Typography is not prescribed in the CSE Manual. The library suggests using 12-point Times New Roman font. Use double-spacing throughout the entire paper. Leave 1 in. margins on top, bottom, and sides. Include paper title and your name, and other pertinent information (centered). Omit a header and page number on the cover page. Add a header after the cover page. The header should contain the title and page number (starting with 2). Double space the entire paper and use 1 inch margins. 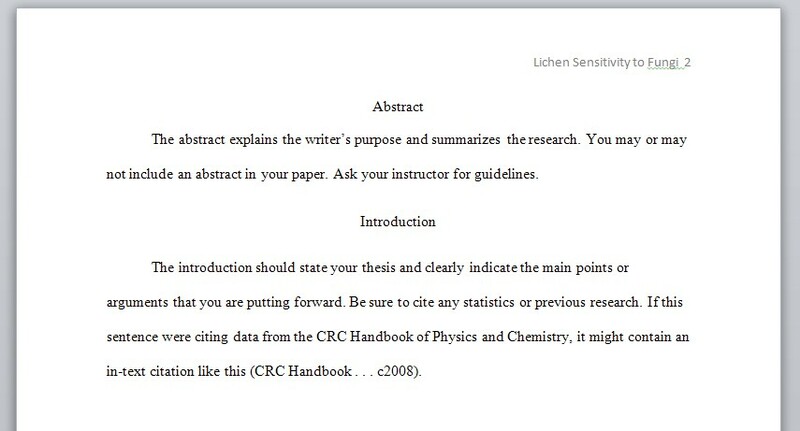 If you use sections like "Abstract, Introduction, Discussions", center the section title on the page. Start your "End References" section on a new page.